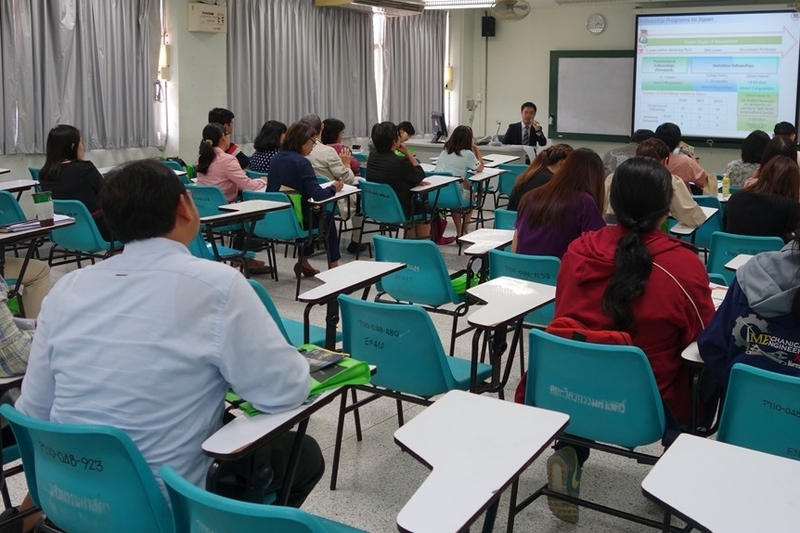 On November 6, JSPS Bangkok Office held a JSPS guidance seminar at Naresuan University, during the 13th Japan Education Fair at Naresuan University hosted by the Embassy of Japan in Thailand. Naresuan University is the governmental comprehensive university in Phitsanulok province, the lower northern region of Thailand. It was officially founded in 1990, becoming independent from Srinakharinwirot University Pisanulok Campus. Currently, Naresuan University is recognized as one of the top government university in Thailand with 22 faculties, colleges, and a demonstration schools. 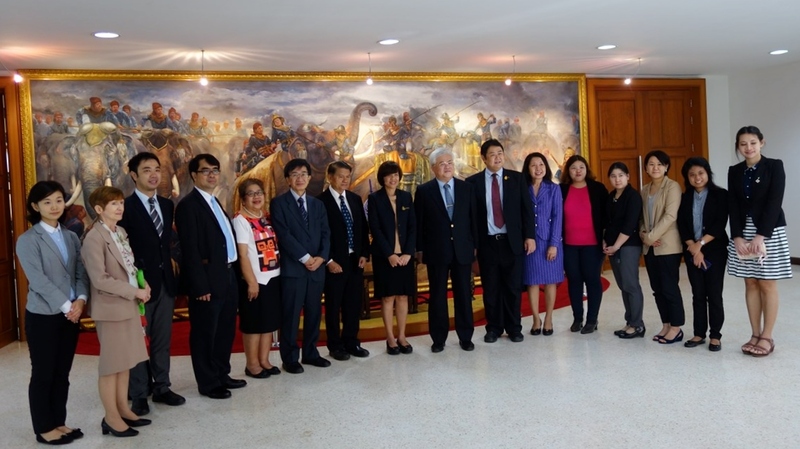 The Embassy of Japan in Thailand annually hosts Japan Education Fair at Nareswan, Khon Kaen, Ubonrachatani, and Prince of Songkla University every year respectively. JSPS Bangkok Office has joined the fair since FY 2012. 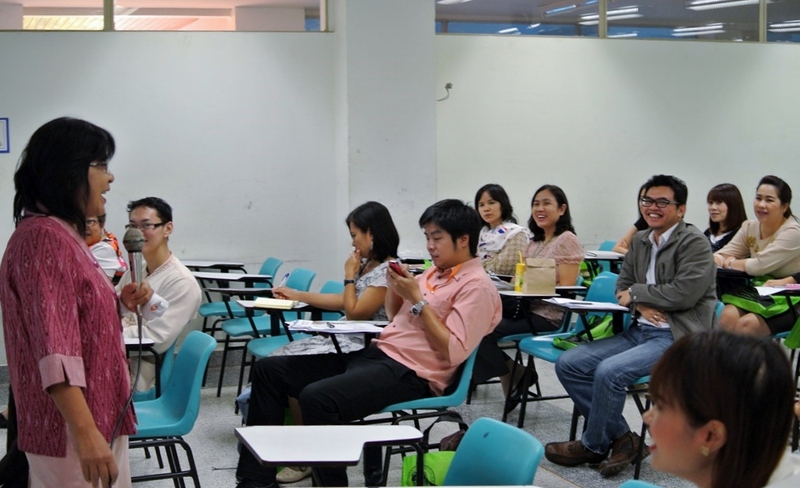 The last time JSPS Bangkok office visited Naresuan University in 2012. At the 13th Japan education fair in Naresuan, Mr. Shigeki Kobasyashi, Counsellor of Japanese embassy, and delegates from Japanese universities including Fukui University of Technology, Kyoto University, Meiji University, Tokai University, Tokyo Institute of Technology, and supporting organizations- JASSO and JSPS made a courtesy visit to Dr.Rosarin Wongvilairat, Vice President for Academic Affairs, Naresuan University. 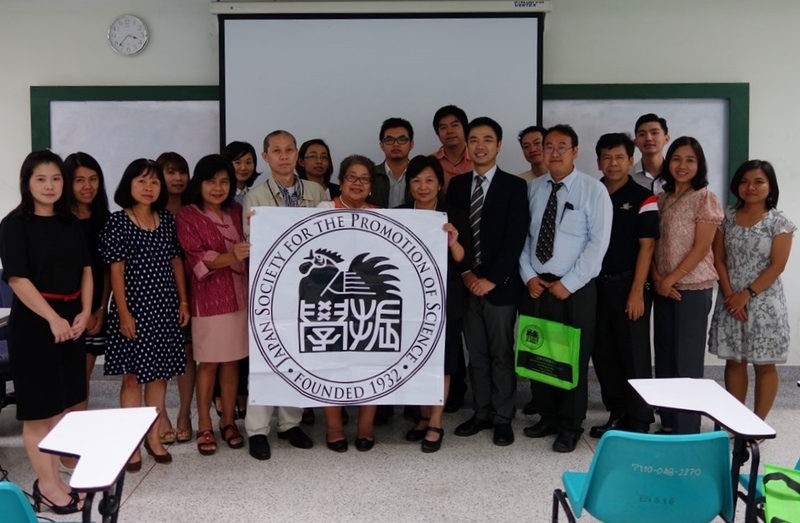 After the courtesy visit, JSPS Bangkok Office held the guidance session “Introduction of JSPS activity in Asia and sharing information about research opportunity in Japan”. First of all, Ms. Hiromi Todoroki, International Program Associate introduced JSPS organization and Science and Technology policy in Japan. And Mr. Daisuke Yamada, Deputy Director explained about the JSPS international programs in details in Thai. JSPS Bangkok Office also invited two JSPS alumni of Naresuan University. Dr. Ratchanee Mukhjang, Assistant Professor of Faculty of Business, Economics and Communications, former JSPS RONPAKU fellow delivered a lecture regarding his research experience in Japan. Dr. Ratchanee obtained Ph.D. degree at Aichi University in 2014, will deliver presentation at RONPAKU Medal Award Ceremony in February, 2015. 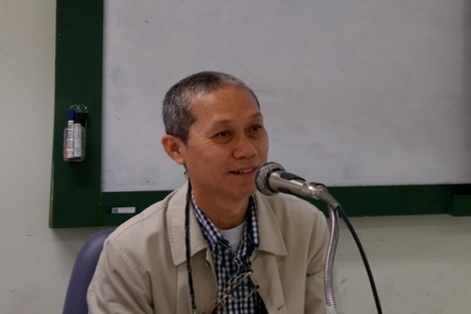 Dr. Siripong Premjet, Associate Professor of Faculty of Sciences, former JSPS Invitation fellow delivered his presentation using many photos taken during his research activities in Japan. Dr. Siriporng obtained Ph.D. degree at the United Graduate School of Agricultural Sciences, Ehime University supported by Japanese Governmental scholarship. Dr. Siripong visited JSPS Bangkok Office on November 21, to discuss Core-to-Core program application. At last, Dr. Chantana Chanbanchong, former ROPAKU Fellow made a closing remarks. Dr. Chantana is also former recipient of Monbukagakusho (MEXT) scholarship. 40 researchers participated in the seminar. To vitalize JSPS alumni activities, it is quite significant to strengthen collaboration with regional universities.